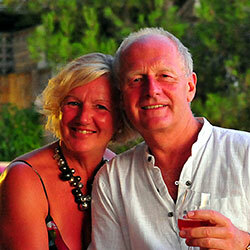 You’ll be met at the airport and transferred to your hotel in Habarana. 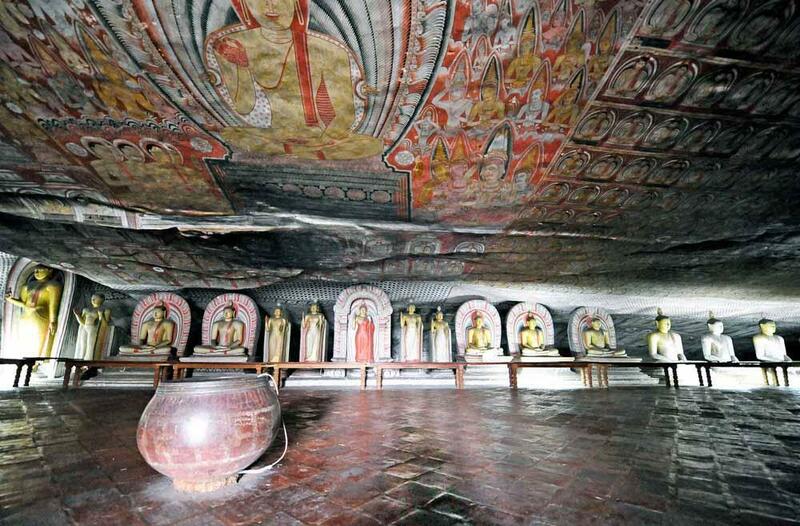 En-route you’ll visit Dambulla the Golden Rock Cave Temple. Climb up to the temple which was donated by King Walagambahu in the 1st century BC to Buddhist monks. Dambulla is a World Heritage site and is the most impressive of Sri Lanka’s cave temples. The complex of five caves extend to over 2000 sq. m. of painted walls and the ceiling is the largest area of paintings found in the world. These caves contain over 150 images of the Buddha of which the largest is the colossal figure of the Buddha carved out of rock spanning 14 meters. 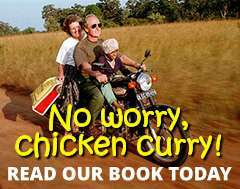 Explore Sigiriya and the famous ‘Lion Rock’ fortress. Built over 1500 years ago, this beautiful citadel stands 200 meters high in the middle of verdant jungle and was an important stronghold of the 70 hectare fortified town. It can be viewed from miles around and is definitely one of Sri Lanka’s most iconic and famous sites. You’ll be able to view the world famous paintings of the Heavenly Maidens which stand in a sheltered pocket of the rock, approached by a spiral stairway. The superb views of the surrounding landscapes from the great rock fortress of Sigiriya must be one of the wonders of the nature. In the afternoon visit Polonnaruwa, the second most ancient of Sri Lanka’s kingdoms. Today the city of Polonnaruwa remains one of the best planned archaeological relic sites in the country. It stands testimony to the discipline and greatness of the kingdoms first rulers, being declared a UNESCO world heritage site in 1982. Its green environment, amazing ancient constructions (including a huge lake built in 1200 a.d.) makes it an attractive city to visit. A visit to the Centre and museum first, will prove useful before setting out to explore its fascinating sites. You’ll visit this well-preserved city of ancient dagobas, moonstones, beautiful parks, massive buildings and stunningly beautiful statues. The ruins of the Royal Palace, The majestic King’s Council Chamber, the Lotus Bath, the Lanka Thilaka Viharaya, Thuparama Dagoba, the Gal Viharaya (rock temple) – 3 splendid statues of the Buddha in upright, sedant, and recumbent postures, all carved out of a single large rock; Thivanka Image house with the best known Buddhist frescoes of Sri Lanka, Hindu Shrines and the statue of one of Polonnaruwa’s greatest kings, Parakramabahu the great, are a few of this capital’s memorable sights. The Sea of Parakrama – a vast 12th century man-made water reservoir dominates the city. The monuments here are located in a more compact area, and their development is easier to follow. Transfer to Anuradhapura located on the dry plains of the North Central Province within the Cultural Triangle area. On arrival you’ll leave on a sightseeing tour of Anuradhapura – a Kingdom which lasted one thousand five hundred years from 380 B.C. 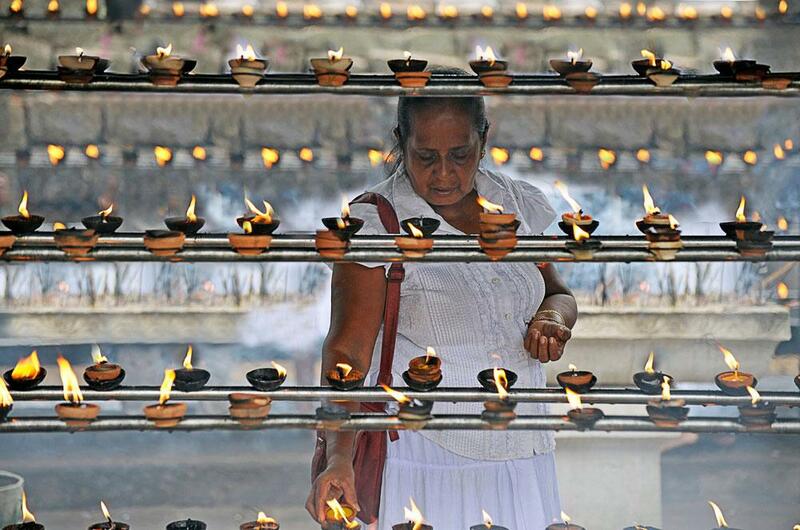 This city is home to many of the earliest and grandest monuments of Sri Lanka and a popular destination of Sinhalese Buddhist’s pilgrimages because of its many ancient Buddhist monuments. The ruins at Anuradhapura tell tales of a Royal capital of 113 successive kings who made it the greatest monastic city in this part of the ancient world. Visit the oldest historically documented tree on earth, The Sacred Bo tree over 2000 years old, grown from a branch of the very tree beneath which the Buddha attained enlightenment. The perfection and scale of the adobes or the relic chambers like the Ruwanveliseya, Abhayagiriya and the Jetavanaramaya , which are the largest in the world, are staggering, the latter vying with the largest pyramids at a height of 122 meters. Also visit the remains of the Brazen Palace (which was once 9 storeys high), Kuttam Pokuna or Twin Ponds, and the Samadhi Buddha (a statue of the Buddha in a meditative pose), which is acknowledged as a masterpiece. Breakfast at hotel and then leave for Kandy. Proceed to Kandy, en-route visiting a Spice Garden at Matale. 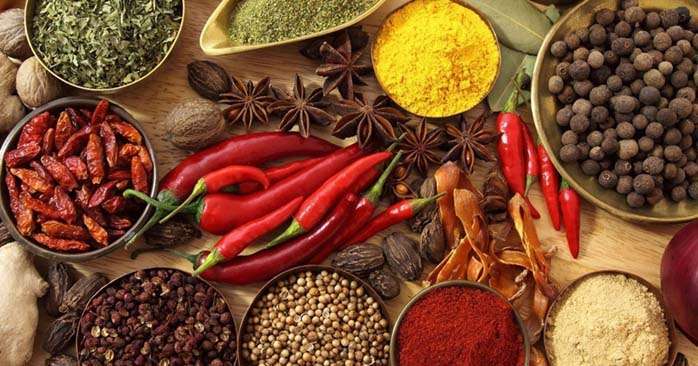 Sri Lanka is famous for many different types of Spices. You will be shown around the plantation, seeing the plant forms from which the spices are harvested as well as how some of these spices are collected and processed. The name Kandy conjures visions of splendour and magnificence. Kandy was the last capital of the Sri Lankan kings, which is a world heritage site. Many of the legends, traditions and folklore are still lovingly kept alive. Drive around the Lake built by the last Sinhala King Sri Wickrama Rajasinghe in 1798 and the scenic upper lake drive. 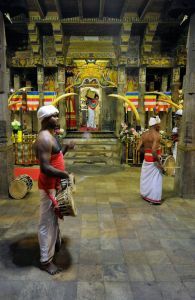 Witness a cultural dance show of drumming, dancing, music and fire walking, followed by a visit to the most sacred place of Buddhists around the world – the famous Temple of the sacred tooth relic of Lord Buddha, during the evening “Pooja” Ceremony. Check-in at Mahaweli Reach Hotel for overnight stay. 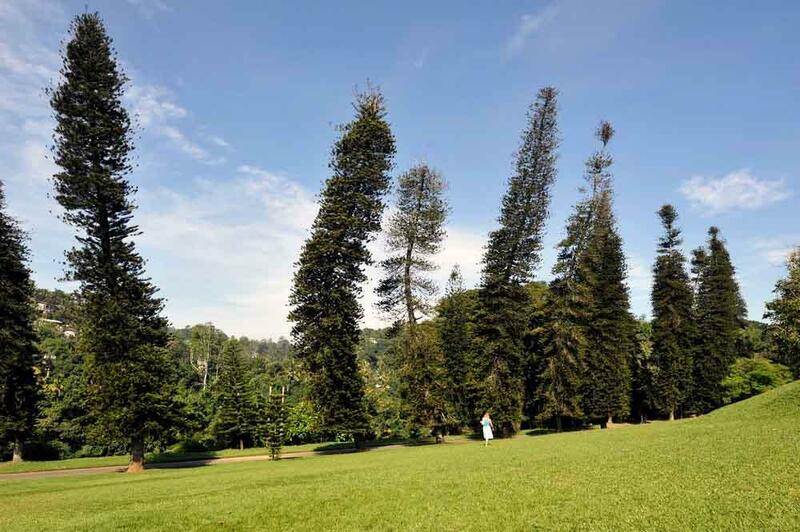 You’ll now visit the Royal Botanical Gardens at Peradeniya on the banks of Sri Lanka’s longest river, Mahaweli. 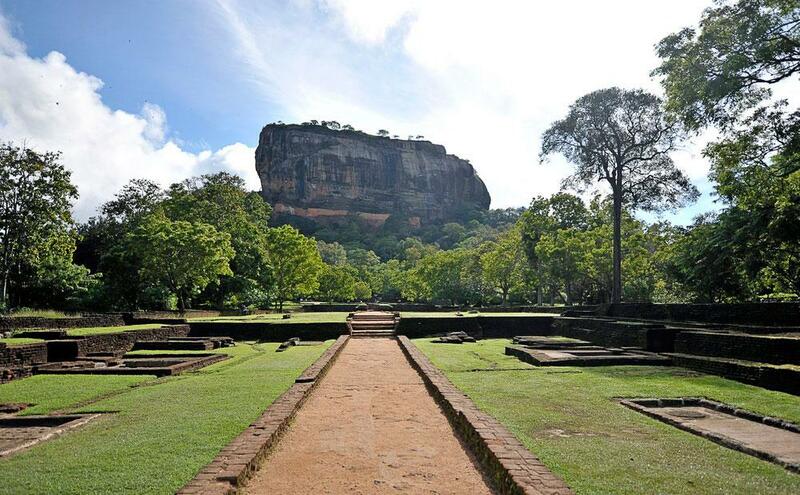 First built as a pleasure garden by a Sinhala king it was expanded by the British. It is 147 acres in extent and provides an amazing variety of trees, plants and flowers. 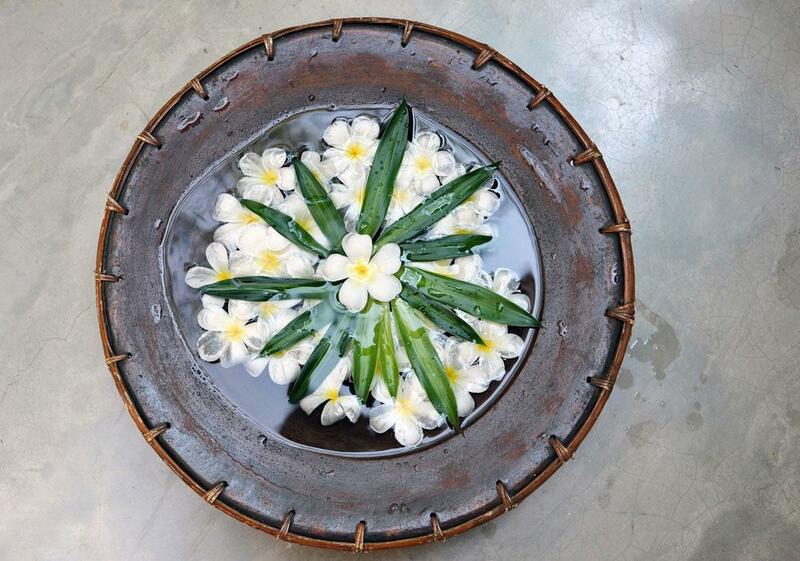 Orchids, medicinal plants and herbs as well as other decorative plants have been an integral part of this garden. 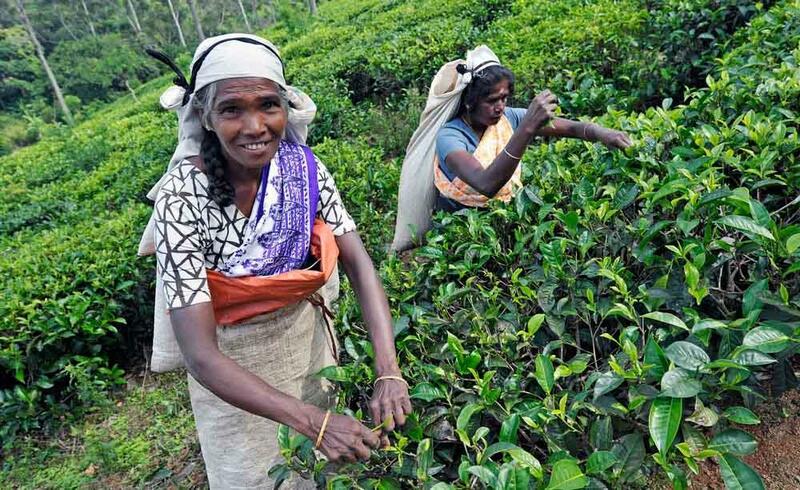 Continue to Nuwara Eliya en-route visiting a Tea Factory and a Plantation and you may have the opportunity of tasting a factory fresh brewed cup of tea. Nuwara Eliya (City of Lights) is a resort city in the Central Mountain Range of Sri Lanka. Blessed with a salubrious climate, breathtaking views of valleys, meadows, waterfalls, mountains and greenery; it’s hard to imagine that Nuwara Eliya is only 180 Km from hot and humid Colombo. Nuwara Eliya, also known as ‘Little England’, was the favorite hill station of the British, who tried to recreate a typical English Village. The old brick Post office, country house-like hill club, with its hunting pictures, mounted hunting trophies and fish and its strict formal dinner attire; the 18 hole golf course, race course etc., all evoke nostalgia of Colonial British Ceylon. Nuwara-Eliya is the ‘heart’ of the tea country, located at an elevation of 1980 meters in the central highlands of this tropical island, it offers the best of both worlds – tropical abundance and pleasant cool mountain climate. While the daytime climate is sub-tropical, night temperatures plunge low enough to produce frost. Lake Gregory is one of the significant tourist attractions in Nuwara Eliya at about 91.2 hectares in extent. It was said to be used for water sports and for re-recreational activities during the British rule. Temperatures vary from 10 to 20 degrees Celsius, falling to near zero on winter nights and producing occasional frost. In the evening leave on a sightseeing tour of Nuwara Eliya. Drive around Lake Gregory and visit Queen Victoria Park. Breakfast at hotel and then leave for Yala via Ella/Wellawaya. Stop at Ella to view the breathtaking Ella Gap and majestic Ravana Water Falls. Afternoon take a Game Drive of Yala National Park (also known as Ruhunu National Park) which is the most visited and second largest national park in Sri Lanka. The park is best known for its variety of wild animals. It is important for the conservation of Sri Lankan Elephants and aquatic birds. 44 species of mammals are resident in Yala National Park, and it has one of the highest leopard densities in the world. The elephant herd of Yala contains 300–350 individuals. 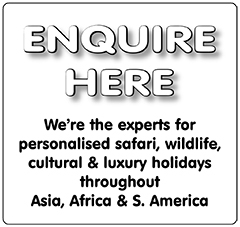 Sri Lankan Sloth Bear, Sri Lankan Leopard, Sri Lankan Elephant, Wild water buffalo are all threatened species and Toque Macaque, Golden Palm Civet, Red Slender Loris, and Fishing Cat are among the other mammals that can be seen in Yala. Of 215 bird species of the park, six are endemic to Sri Lanka. 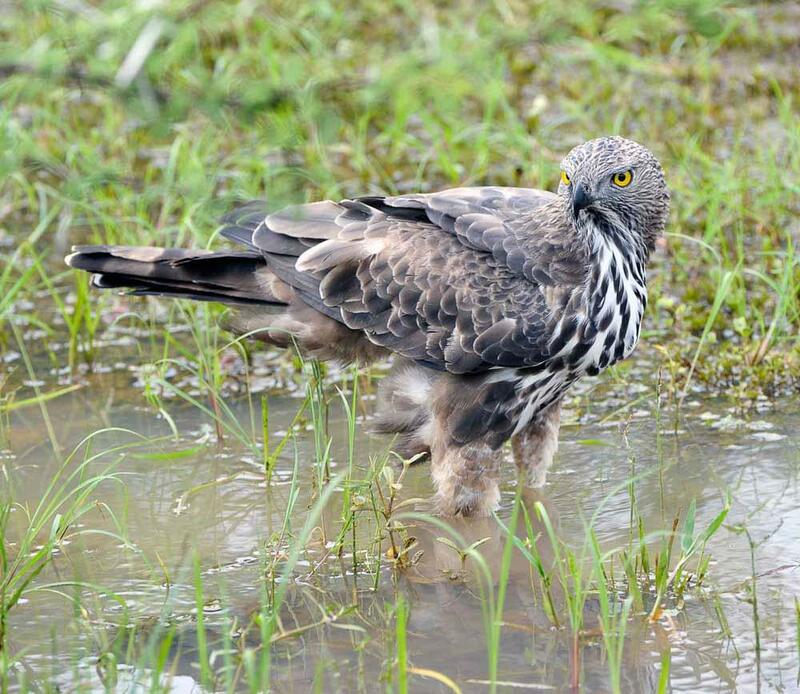 90 species of water birds inhabit the wetlands of Yala, half of them being migrants. Reptile species recorded in the park number 46, five of them are endemic – Sri Lankan Krait, Boulanger’s Keel back, Sri Lankan Flying Snake, Painted-lip Lizard and Wiegmann’s Agama. The Indian Cobra and Russell’s viper are among other reptiles. 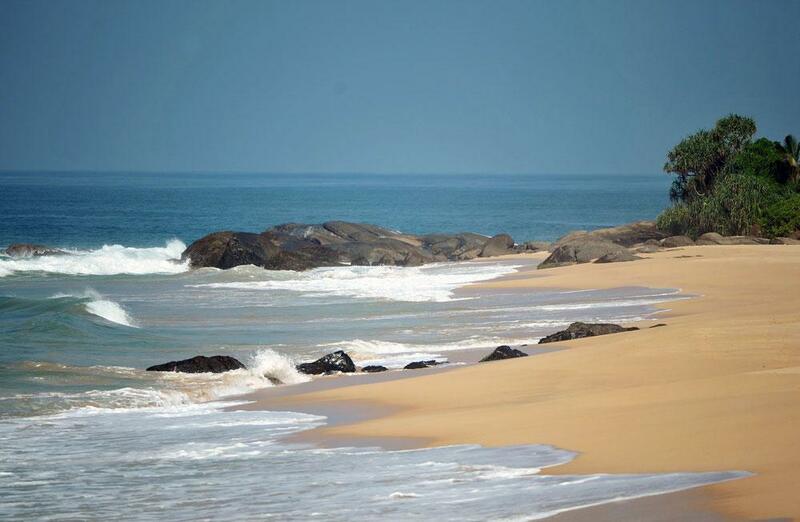 The coastline of Yala park is visited by the all five globally endangered sea turtles (Leatherback turtle, Olive Ridley, Loggerhead Sea Turtle, Hawksbill turtle, and Green turtle) that visit Sri Lanka. Two breeding crocodile species of Sri Lanka, the Mugger crocodile and Saltwater Crocodile both inhabit the park. The perennial reservoirs contain mostly exotic food fish like Mozambique Tilapia. The Stone sucker and Esomus thermoicos are endemic among other species. The Black Spot Barb, Olive Barb, Orange Chromide and Common Spiny Loach are the most common fish species. A variety of butterfly species are found here. 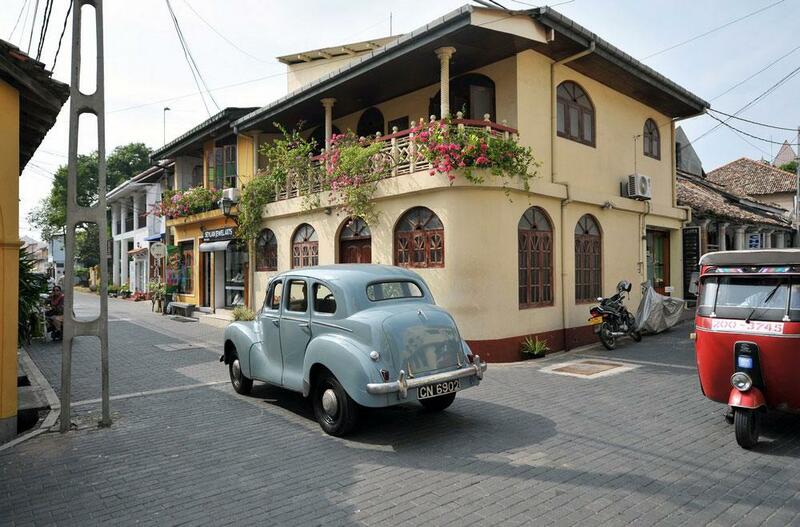 En-route visit Galle – the biggest ‘unmissable’ destination in the south. It’s at once endlessly exotic, bursting with the scent of spices and salty winds and yet also, with its wonderful collection of Dutch-colonial buildings, a town of great beauty. Classic architecture melds with a dramatic tropical setting to create an environment that is endlessly interesting. You’ll enjoy a sightseeing tour in the city of Galle, once the chief port of Ceylon, as Sri Lanka was named by the British. It is still well known for hand-made lace. You can also visit Galle Fort (spanning 90 acres), which was originally built by the Portuguese and later extended by the Dutch in 1663 which is a world heritage site. Check-in at Hotel Vivanta by Taj for overnight stay. Breakfast at hotel and then leave for Colombo. Sri Lanka’s commercial capital and the largest city with the highest population, Colombo is situated in the Western Province. Its a fascinating town which has a blend of eastern and western cultures where all colours of the island are drawn together. Many visitors appreciate the city’s colonial heritage and enjoy the vast range of fine shopping and dining outlets located within the rush of its urban buzz. During your journey through the City of Colombo, you’ll visit the Bandaranaike Memorial International Conference Hall (BMICH); Independence Square is also a must visit, which today has become a major tourist attraction due to its historical significance and extraordinary architecture. You’ll see the Old Parliament of Sri Lanka and the gorgeous Galle Face Green, facing the beautiful Indian Ocean. You could also enjoy the opportunity to shop at the famous department stores and malls in Colombo where you’ll find brands at bargain prices. Overnight stay at Colombo Hilton. • Tips, mini bar, laundry, telephone calls etc. • If the stay in Kandy coincides with Kandy Perehara Festival Period from 29th July to 07th August 2017, a Supplement of £ 55.00 per room per night will be applicable.